Hi there! Hope your week is off to a great start! I’m not sure how the weather is where you are, but in Dallas the weather is always up and down… literally. So Spring sweaters are definitely a must for when the weather drops to 40°F out of no where.. which is what happened the other day. I LOVE a good stripe sweater… add a peplum to it and it is right up my alley. I paired it with distressed denim and these platform Converse that provide a casual look with a little lift. 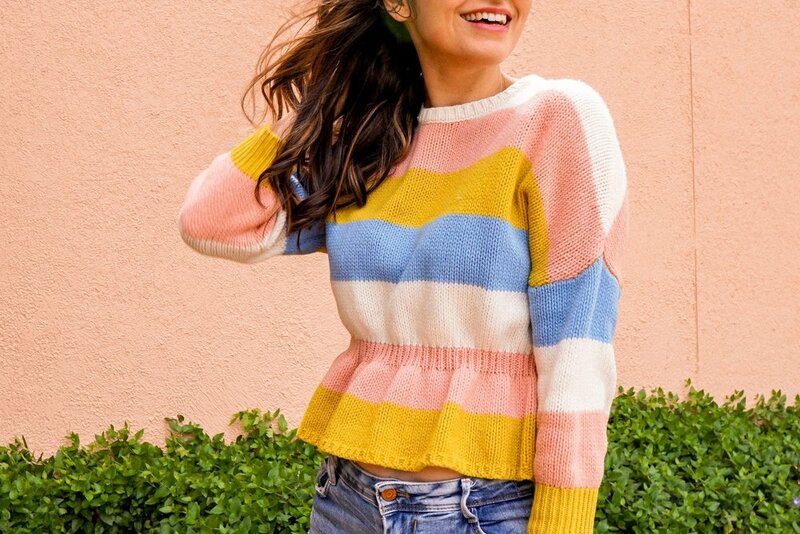 :) Below are a few more Spring sweater finds!